THE MOMENT IS FAMOUS NOW. On a humid June evening in 2002, seconds before the final whistle of a pulsating opening match in Group C, the Fevernova World Cup ball sailed through the warm Ulsan air and hit the thigh of one of the game’s most enigmatic players. Despite the ball hitting his leg, Rivaldo comically writhed around the corner flag at the Munsu Stadium clutching his face. Hakan Ünsal was the Turk responsible for nonchalantly toe-poking the ball at the Brazilian in the dying minutes of an ill-tempered encounter in South Korea, which had consistently threatened to boil over. As he strolled towards the tunnel after being dismissed by referee Young Joo Kim, the giant screen inside the Munsu showed the full extent of Rivaldo’s skullduggery, sparking mayhem in the stands. The Brazilian’s sincere words came as no solace to Ünsal, who sat in the Turkish changing room staring down at his boots, cursing them for their pinpoint accuracy. Over 20 years before the 2002 World Cup in Japan and South Korea, Ünsalwas playing with his school friends in the narrow streets of Sinop, dreaming of taking his country to the next level in world football. Hakan Ünsal was born on 14 May 1973 in the small peninsula of Sinop, a beauty spot for tourists and newlyweds, and a picturesque location noticeably cut adrift from the hustle and bustle of the archetypal Turkish city life. Growing up in the most northern edge of the Turkish side of the Black Sea coast, in the ancient region of Paphlagonia, Hakan stood out from the crowd. With a thunderous left-footed shot, the Turk, like most young footballers across the globe, initially aspired to be a goal-scoring forward. Despite what happened in Ulsan in front of the watching world, young Hakan was revered for his temperament by his classmates and teachers; relaxed under pressure, almost to a fault. An act he is now synonymous with doesn’t really tell the full picture – Ünsal had a calm and collected manner on the pitch as a boy. He was feared by his opponents for his assertive style of play, but also well-known as a fair and principled young player. His physical stature was far beyond his fellow school friends and his technical ability was clear, but his height was the issue. At just under six feet, he was deemed too short to be an out-and-out striker, Ünsal would eventually find his calling as a no-nonsense attacking left wing-back, but also able to operate across the midfield, most notably as a deep-lying central midfielder. After graduating from school, a successful period at Eyüpspor in the Turkish First League led to a host of potential suitors across the country. With a low centre of gravity and stocky build, his physicality and combative demeanour was well-matched with the rough and tumble of the lower Turkish leagues, and the fans adored him. In 1993, Ünsal‘s professional club career started nearly four hours’ drive from Sinop in the landlocked province of Karabuk. At the age of 19, he made his debut for a struggling Kardemir Karabükspor side. They would eventually be relegated that season, but it was clear to all observers that he was destined for much greater things. Such an early disappointment could have rattled a young player, but Ünsal continued unabated on a career trajectory towards the very top of European football; next stop, the giants of Galatasaray Spor Kulübü. Moving to Istanbul aged only 21, Ünsal had already lived out his dream of merely pulling on the famous strip of his country’s beloved Galatasaray. 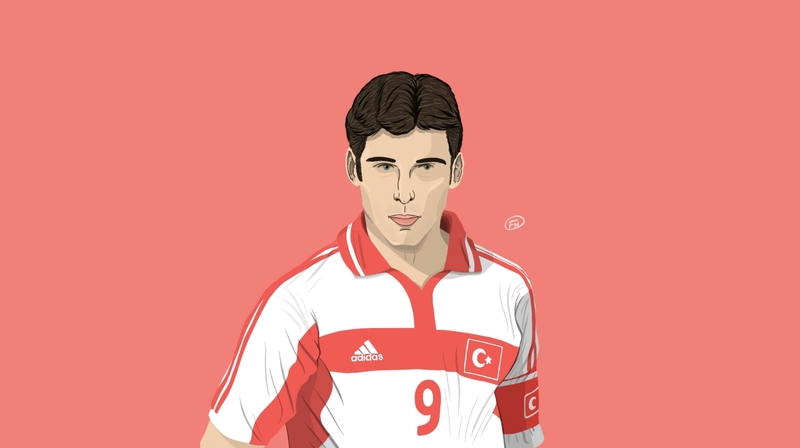 He initially found it difficult to break into the first team, but soon settled into a side which would define the 1990s era of Turkish football. During his first two seasons at Gala, Ünsal established himself in the Turkish under-21 set-up before gaining his first appearance with the national first team in 1996. From that point on he became a mainstay in the national team, becoming a favourite of head coaches due to his versatility to play in midfield as well as a left-sided defender. On the domestic front, Ünsal won every single Süper Lig trophy between 1996 and 2000, including a UEFA Cup triumph in the 1999/2000 season. A highlight of his time at Galatasaray was starring in the UEFA Super Cup victory over Real Madrid in August 2000, where he won a first-half penalty after being bundled over by Iván Campo. Galatasaray won the match thanks to a golden goal from Mário Jardel in extra time, adding yet another medal into Ünsal’s cherished trophy cabinet. In December 2001, in a dramatic foreshadowing of the match against Brazil later that summer, Ünsal was shown a red card in a 2-2 draw with Barcelona at the Camp Nou. Just as in Ulsan in 2002, he was sent off in the dying seconds of the Champions League match, the second player on his team to be dismissed. On the hour mark, Galatasaray’s Capone had been sent off for a late challenge on, of course, Rivaldo. In the years leading into the World Cup in Japan and South Korea, Ünsal won at least one trophy in every single season of his time at Galatasaray. The side was occasionally sprinkled with British talents, including Dean Saunders, Mike Marsh and Barry Venison, but the squad was predominantly filled with brilliant Turks. Despite his popularity during a successful period for Galatasaray, rumours had started to circulate that Ünsal was keen on a move to the Premier League, eager to re-join his former manager Graeme Souness. Before leaving Istanbul for Blackburn, Ünsal had racked up five Süper Lig titles, four Turkish Cups, a UEFA Cup and UEFA Super Cup. His first stint in Istanbul also coincided with a period of Galatasaray dominance over their bitter rivals, Fenerbahçe. Surprisingly, Dalglish bowed out at the top, immediately moving into a Director of Football role, and his replacement, Ray Harford, failed to truly build on the title-winning squad. Blackburn rested on their laurels and, in the short term at least, it cost them dearly. Within seven seasons of lifting the trophy, Blackburn had tasted Division One and gained promotion back to the Premier League thanks to the astute and no-nonsense leadership of Souness, who is, to this day, a cult hero in Istanbul. He was manager of Galatasaray for less than a year but he made a significant impression on their devout fan base, including young Hakan. Back in April 1996, Souness nearly sparked a riot after planting a Galatasaray flag into the centre circle of the pitch of arch-rivals Fenerbahçe after his side had beaten them in the Turkish Cup final. After a difficult season, Souness was sacked less than a month later, but the stunt earned him the nickname Ulubatlı Souness, a reference to the heroic Turkish martyr Ulubatlı Hasan. After brief stints in Italy and Portugal, the former Liverpool star had settled well in Blackburn, where his authoritarian management style had dragged Rovers back into the English top flight in his first season. The Turkish connection, from Galatasaray in particular, would soon become a recurring theme in East Lancashire. By the time Ünsal moved to Ewood Park in March 2002, the club were very much back on an upward curve. In fact, Souness had lined up for Ünsal to complete his move prior to Rovers’ League Cup final triumph in February 2002 at the Millennium Stadium. As it was, due to complications over a work permit, the Turk had to watch his future employers beat Tottenham in Cardiff thanks to goals from Matt Jansen and Andrew Cole. His powerful style of play dovetailed seamlessly with Souness’s uncompromising approach and also complemented an already confrontational squad including Gary Flitcroft, Craig Short, Mark Hughes and Lucas Neill. The Turk’s versatility was also a key factor, according to his new manager, “We see him as a valuable player down the left-hand side. He can operate as a full-back or a midfield player. I’m sure he’ll be important for us, because we’ve been looking for cover down that side for most of the season.” Nils-Eric Johansson and Stig Inge Bjørnebye had to make way for Rovers’ new star signing. 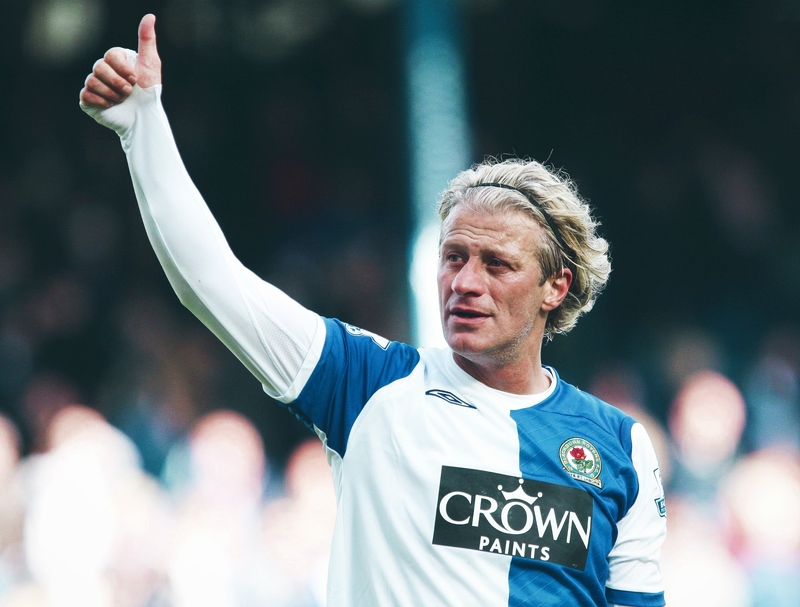 The Blackburn squad was not without its flair players. At the forefront of that movement was the calm, metronomic presence of Tugay in central midfield. Bought for only £1.3m from Rangers, Tugay’s classy first touch and propensity to score long-range wonder goals quickly ingratiated him with the Blackburn faithful. To this day, the ‘You are my Turkish Delight’ chant, referring to their adopted son Tugay, can still be heard on the terraces of Ewood Park. Tugay was a composed presence on the pitch but also a buoyant and excitable character off it. He was pivotal in convincing Ünsal to make the move to Ewood Park, the two players having previously roomed together at Galatasaray, although the pair never quite re-lived the sparkling on-field relationship they once shared in Istanbul. Ünsal’s highlights reel at Blackburn would be sparse, although he occasionally showed glimpses of the player Souness had expected. Most memorably against Aston Villa, he played a raking 80-yard cross-field pass with pinpoint accuracy onto the boot of home-grown starlet David Dunn, who then lashed into the top corner of Peter Schmeichel’s net. He also provided a dazzling assist in a 2-1 away loss to Leicester, with an in-swinging free-kick which Hughes met with a powerful header. In the same match, Ünsal memorably outmuscled both Robbie Savage and compatriot Muzzy Izzet in one single tackle, leaving both Leicester men confused, sitting on their backsides on the Filbert Street turf. But these were rare highlights in an altogether frustrating period in the Turk’s career. The Turkish link continued at Ewood Park with one of the nation’s greatest ever players, Hakan Şükür. Also re-joining Souness, Şükür fizzled with positively upon signing for Rovers: “I already know Tugay, Brad Friedel, Graeme Souness and Dean Saunders and they helped me to decide to come. I think I can be a big success for Rovers.” Souness returned the gesture: “He’s the best athlete I’ve ever worked with. He wants to prove how good a player he is and I’m confident we can do that here.” Promising words but, similar to Ünsal, the plans never came to fruition. Şükür scored his only two goals in a 2-2 draw against Fulham at Craven Cottage, two typically lethal finishes. The stint in the Premier League for the ‘Bull of the Bosphorus’ mirrored that of Ünsal’s rather than Tugay’s – promising glimpses of brilliance but an ultimately frustrating and all too brief spell on English shores. Tugay went on to finish his playing career at Blackburn in 2009 after 233 appearances for the club. Both Hakans managed only 17 appearances between them. After playing only eight professional matches for Rovers, Ünsal never fully embedded himself into Lancashire life and made a swift return to the sunnier climes of Istanbul, returning to the familiar environs of Galatasaray’s Ali Sami Yen Stadium. It’s impossible to overstate the importance of the 2002 World Cup to the people of Turkey. Prior to that tournament, the national team hadn’t qualified for a World Cup since 1954, where they finished a mediocre ninth. The 1980s, in particular, were a dark period in Turkish football. As young Ünsal started out on his career, his national team recorded their joint greatest ever losses – 8-0 defeats to England in 1984 and 1987. Early in the 1990s, during Ünsal’s first spell at Galatasaray, a revolution took place in Turkey’s Süper Lig, which aligned neatly with the continued positivity surrounding the national team. Turkey failed to score a single goal at Euro 96, but qualifying in the first place demonstrated significant progress from the previous generation. In 2002, the early disappointment of the loss to Brazil never held back the resilient Turkish side, despite having two players unavailable due to red cards. Ünsal served his one-match suspension in the 1-1 draw with Costa Rica but the Turk was recalled for the 3-0 defeat of China to send them into the knockout stages. Due to both a re-shuffle in defensive personnel and a niggling injury picked up in the win over China, Ünsal was an unused substitute in the second round and quarter-final win over Senegal. He was not given the opportunity to exact revenge on his old foe Rivaldo as Turkey crashed out of the tournament via a solo goal from Ronaldo. Turkey finished the tournament in style, though, claiming third place after beating hosts South Korea 3-2 in an energetic and pulsating final match. This Turkish side knew no other style of play. The niggling injury had proved too much for Ünsal, who underwent minor surgery after damaging his knee during this summer’s World Cup finals. Ünsal’s trophy-laden career undoubtedly fell in the sweet spot, the peak of Turkish football. The zenith of such a buoyant and supremely talented squad came in South Korea, but unfortunately for their left-back, it included a career-defining moment. Despite that rush of blood against Brazil, to this day he is still treasured as a national hero in his homeland.